Technology has made it possible for small businesses to reach more customers in new ways, resulting in some of the most high-growth businesses today. This new Age of the Customer brings a world of opportunities, as well as a few challenges. You can reach more potential customers than ever before, but you also have more competition for their attention and dollars. 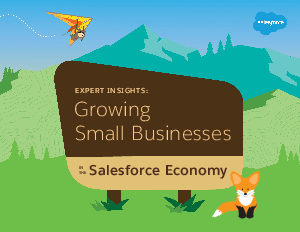 The good news is that in this high-competition, high-reward environment, businesses that are part of the Salesforce ecosystem are at the center of this new economy. Read on to learn more.